The publishers have been busy over the WW100 commemorations, and recently there was a new release that has reference to several Thamesites and others from around the district. 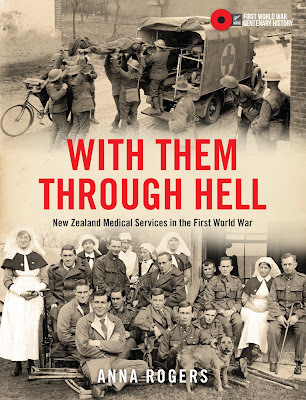 The book is "With Them Through Hell, New Zealand Medical Services in the First World War." Life onboard the hospital ships is discussed and mention is made of Sister Clara Hawkins from Thames who was aboard the Maheno. Well worth a read, and I look forward to the chapters on dentistry, horses, and the many health support roles that were undertaken during World War One.